Essentially all Gilson is arguing is that his god doesn’t want to dazzle his creations with constant supernatural interventions because he wants us to be able to predict with enough regularity the workings of the cosmos so we can do science and be responsible for our actions and learn from our experiences. This argument fails for three reasons. First, it completely defies typical Christian experience; second, it contradicts the very foundation of Christianity; and third, this argument does not fit with what we know (or rather, don’t know) about the universe. I go on to elaborate on these points. Gilson argued that god wants regularity in nature for the above reasons, but I argued that Gilson's argument contradicts the facts in a number of ways. First, it defies typical Christian experience, when Christians see miracles occurring in their lives on a daily basis; second, the very creation of “something from nothing” is another miracle claim, and third, despite Gilson's claims to the contrary, the universe is not as logical as he makes his readers believe. 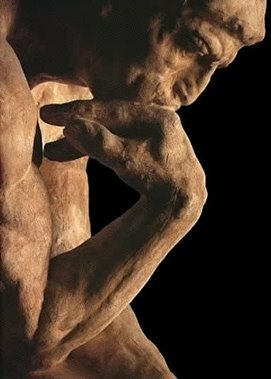 While our logical minds can grasp the universe on larger scales, our logical minds have much difficulty grasping the seeming illogical nature of the quantum world, where things appear to happen randomly and spontaneously without apparent reason or cause, which puts the universe at odds with our logical minds. Gilson's reasons contradict everything we know about the universe and about Christianity. His other argument appears to revolve around the idea that because god wants his creatures to learn “from experience” this makes Christianity compatible with science. This argument was so nonsensical I did not feel it merited a response so I focused on what appeared to be Gilson's main argument, since it took up over 90% of the chapter, describing the ways in which god wants an orderly universe for his creations. Since that series of arguments are flawed his very conclusion is also flawed. In conclusion, I believe Gilson either did not grasp the counter-argument I was making, or this is just another example of sloppy writing on his part. This blog is no longer active and is not accepting any new comments. Thanks. 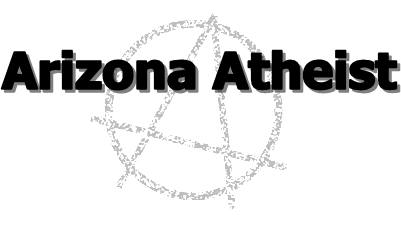 COPYRIGHT INFORMATION All content (unless otherwise noted) on the website Arizona Atheist is copyrighted. I will allow anyone to use my work in whole, or in part, for non-commercial purposes as long as it is unmodified from the original and they attribute the work to the author ('Arizona Atheist') and/or provide a direct link to the borrowed content's webpage. The borrowing of or the linking to the content of my website is not an acknowledgment that I endorse that author's work or the use of my work. "Arizona Atheist" All rights reserved.